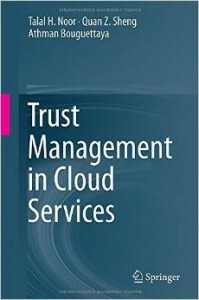 Springer just released a new research book, “Trust Management in Cloud Services”, written by Web Technologies researchers Dr. Talal Noor and A/Prof. Michael Sheng. 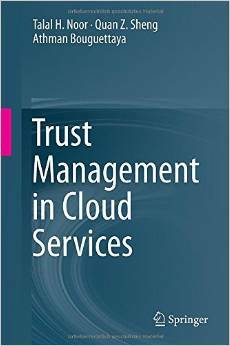 The details of this book can be found from here. This entry was posted in News, Publications, Web Technologies. Bookmark the permalink.